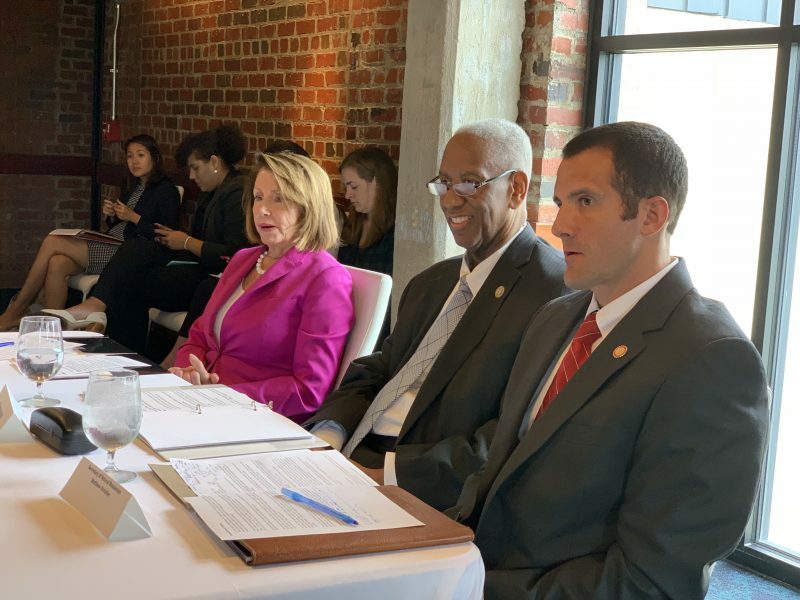 Rep. Nancy Pelosi (D-Ca), Rep Donald McEachin (D-Va) and Sec. Matthew Strickler attend a panel aimed at local and national infrastructure reform in RIchmond on Fri. Oct 3. Photo by Nia Tariq. National and local environmental protection advocates gathered in Richmond Friday to discuss climate change, improving infrastructure, waste management and other pivotal environmental topics. Rep. Donald McEachin (D-Va., 4th District) hosted the event. Participants included Minority Leader Nancy Pelosi (D-Ca., 12th District), Michael Town, executive director of the Virginia League of Conservation Voters, Gilbert Campbell, co-founder and managing partner of Volt Energy, Roxanne Brown, assistant legislative director of United Steelworkers and Sen. Jennifer McClellan (D-Va., 9th District). Pelosi voiced a broad conception of how infrastructure is interwoven in the fabric of American life and environmental health. The former House speaker said improving infrastructure and the environment is a matter of national security, economics, health and morality and that Americans need to be “good stewards of God’s creation” for future generations. “When we build this infrastructure across America in a green way, we will not only be creating jobs, we will be doing so in a way that is safe for our children,” Pelosi said. 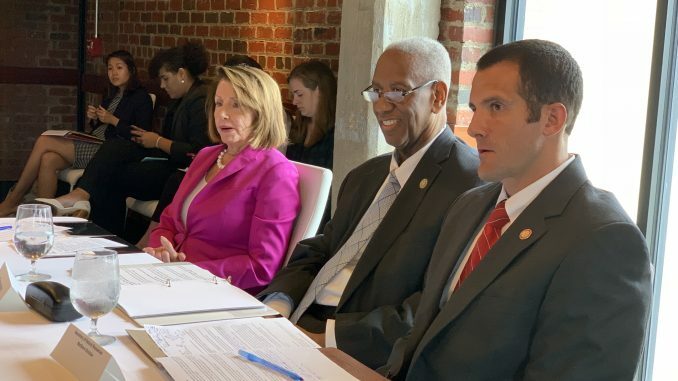 Pelosi spoke about the House Select Committee on Energy Independence and Global Warming, established in 2007, but discontinued in 2011 after Republicans regained control of Congress. Town stressed that this path is different for every state. For instance, in Virginia, wind and solar power are still burgeoning industries, and a reliance on coal continues to hamper environmental protection in the Commonwealth — not all states can be California, he said. But in transitioning to cleaner energy sources, Town cautioned that statewide economic fallout must be carefully considered. Best reason for argument: For every action , there is a reaction; some are good and others are not.___ Read The Bible and decide for yourself!